You may have heard the other person new entry into the market of the treadmill. What about The Bowflex Treadclimber climber is a hybrid and ladder climbers treadmill. Treadclimbers has two separate smaller one treadmill belts for each foot for you to walk on. This individual also belt moving up and down to suit every step you take. 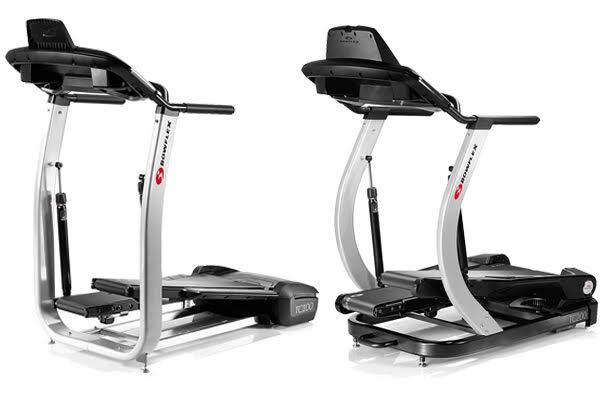 Bowflex vs. TC100 TC200 will help you choose between them and selecting the right choice. And the differences are coming from the Bluetooth Connection, on the TC200, the Bluetooth can make easy to define your fitness goals and transfer workout data to MyFitnessPal and other select fitness apps. The more you know about your fitness activity, the more likely you will reach your goals. There is also a small difference on the speed. Top speed for the TC100 is 4.0 mph. Top speed on the TC200 is 4.5 mph. The TC100 can save and track data for two users. The TC200 has four user profiles. The TC200 has more advanced heart rate monitoring with contact grips, a wireless monitor and chest strap, and a Heart Rate Zone Light Bar for visually tracking your pulse, while TC100 just with a contact grip system for measuring heart rate. The built-in programming also comes differently, The TC100 is equipped with Quick Start mode only. On the TC200 five training programs are provided: Just Walk, Calorie Goal, Time Goal, Distance Goal and Interval. Upgrading on the TC200 makes it worth the price difference. TC100 is more budget friendly does not provide the same training guidance, cardiac monitoring or management data as TC200. Even so, every TreadClimber is a powerful tool for fitness. Topped with a tablet computer, the TC100 can keep your interest while providing a fantastic workout.